This rather nice 22 degree sun halo appeared during a delightful hot Saturday afternoon on April 26th 2008 when a bank of ice crystal rich cirrostratus cloud arrived in from the west. 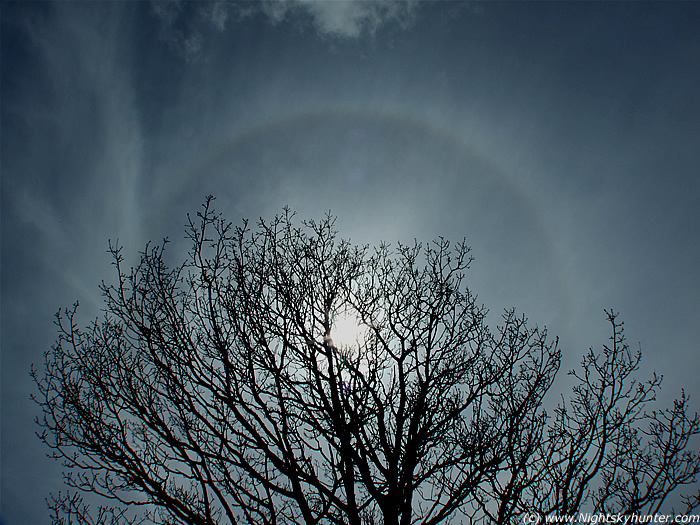 The halo was colourful, complete, and great with the naked eye, however, spectacular through sun glasses. This was captured from Drumlamph forest in Maghera, N. Ireland.